She grows food featured farmers will be sampling and selling their fine products at this year’s State Farm Fair, brought to you by the Hawaii Farm Bureau. Come to the Bishop Museum, the site of the fair on July 24 and 25. 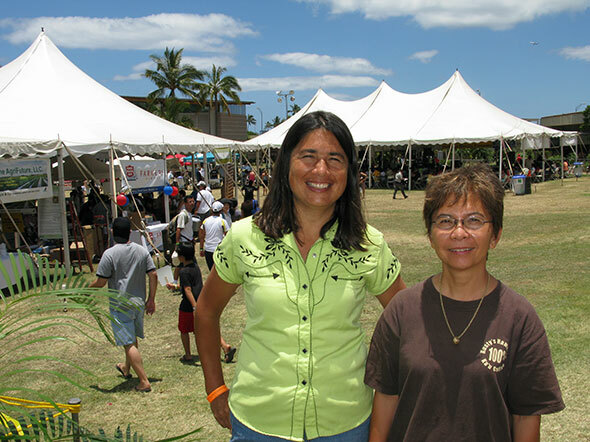 Michelle of Kuahiwi Ranch Natural Beef and Lorie of Rusty’s Hawaiian Ka’u Coffee are coming from Ka’u on the Big Island. This is a rare opportunity for you to try & buy their world-class products direct. Go to: www.hfbf.org for more information.